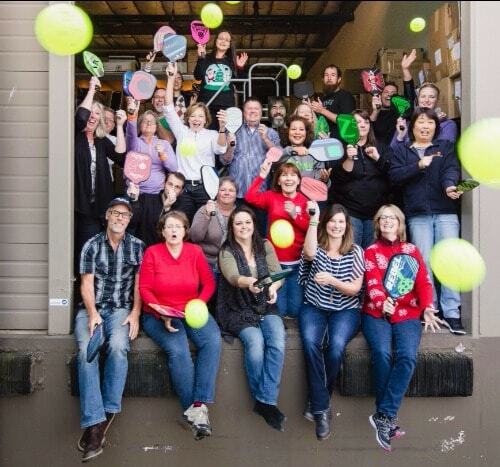 Who We Are We are a family business working with a fantastic team of people to provide you with quality pickleball products, outstanding customer service and super-fast shipping. We are located in Kent, Washington, a suburb of Seattle. What We Do We started PickleballCentral.com in September 2006 as a hobby website inspired by Anna's parents' addiction to pickleball. After three years, the sport of pickleball was booming and our little side business had grown into a full-time enterprise serving thousands of customers. PickleballCentral.com is the largest reseller of pickleball equipment on the internet. We are growing quickly and plan on continued rapid growth by steadily adding more products and resources. We are committed to honesty, superior customer service, innovation and being the best. Compare us to other online pickleball stores. 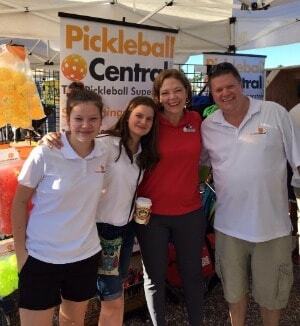 You'll find the absolute best service and the best selection in online pickleball equipment and apparel at PickleballCentral.com. Our Golden Rule Serve customers the way we want to be served when purchasing products on-line. Why We're in the Pickleball Business We hear stories all the time about individuals who now have a new lease on life because of pickleball. People who thought they were done being an athlete are now out playing pickleball three to four times a week. We see people laughing and sharing a thrilling game together. We hear about people losing weight and lowering their blood pressure. This is what we care about. This is why we are in the pickleball business. Our Safe Shopping Guarantee PickleballCentral.com takes great pride in offering a safe and secure online shopping experience. We also respect your privacy and we're committed to protecting it.